Posted on August 13, 2017 by Captain Bligh! On August 12, 2017 the Dragonboat Racing Association of Colorado (DRACO) provided boats, equipment and technical assistance to put on dragon boat races as part of the Spirit of the Lake Regatta on Grand Lake. 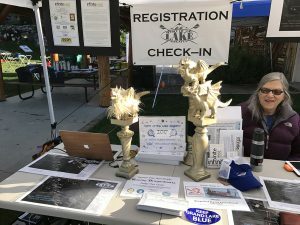 The event served as a fund-raiser to benefit Infinite West and its Colorado River Headwaters Conservation efforts, along with DRACO’s breast cancer survivor (BCS) dragon boat program. The race featured six local 10-man teams, all without any prior dragon boat experience. From a management standpoint, it proved to be a challenging, but highly successful, event! Posted on August 15, 2016 by Captain Bligh! On August 13, 2016 the Dragonboat Racing Association of Colorado (DRACO) put on a dragon boat demonstration as part of the Spirit of the Lake Regatta on Grand Lake. 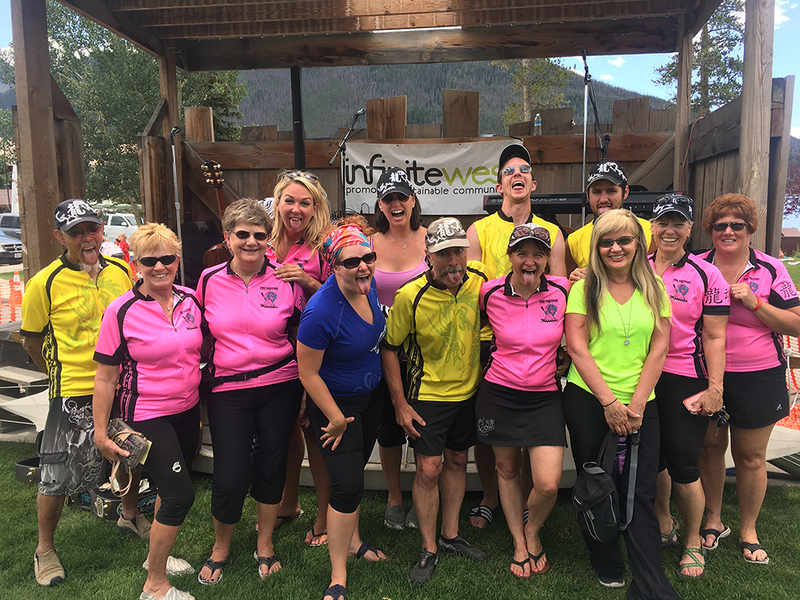 The event served as a fund-raiser to benefit Infinite West and its Colorado River Headwaters Conservation efforts, along with promoting DRACO’s breast cancer survivor (BCS) dragon boat program. Phantom Dragons and Pink Phantoms paddlers showed off their racing skills, and also provided a dragon boat paddling experience for interested spectators. Dragon Boats Race on Grand Lake! Posted on August 24, 2014 by Captain Bligh! 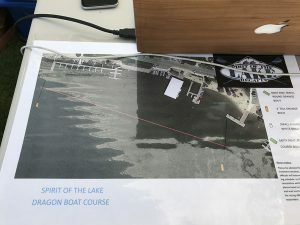 Ten-man L ao Buddhist and Phantom Dragons teams went head to head on Grand Lake in this year’s Spirit of the Lake Regatta, held August 23rd. 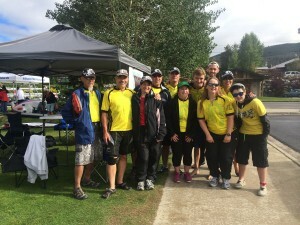 This was the first year for a dragon boat division to be included in the event (in addition to rowing shells, kayaks, and stand-up paddle boards), the result of a joint effort of Infinite West and the Dragonboat Racing Association of Colorado (DRACO). The Lao Buddhist team emerged victorious, narrowly edging the Phantom Dragons in a close, best-two-out-of-three series of 250-meter races. Congrats LBT! 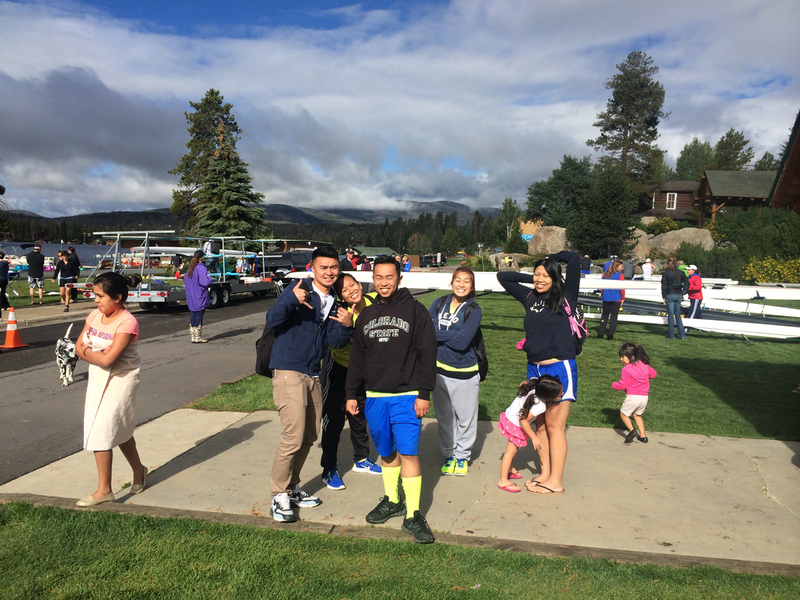 Dragon Boats to Race in the Spirit of the Lake Regatta! Posted on August 21, 2014 by Captain Bligh! The DRACO Mini-Dragon Series has officially begun! 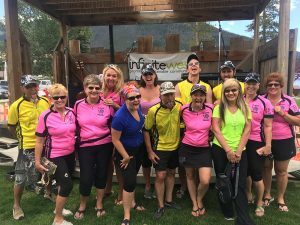 The Dragonboat Racing Association of Colorado (DRACO) has teamed up with Infinite West to help raise funds for Colorado River Headwaters Conservation Education by including a dragon boat division in this year’s Spirit of the Lake Regatta, to be held August 23rd on Grand Lake. 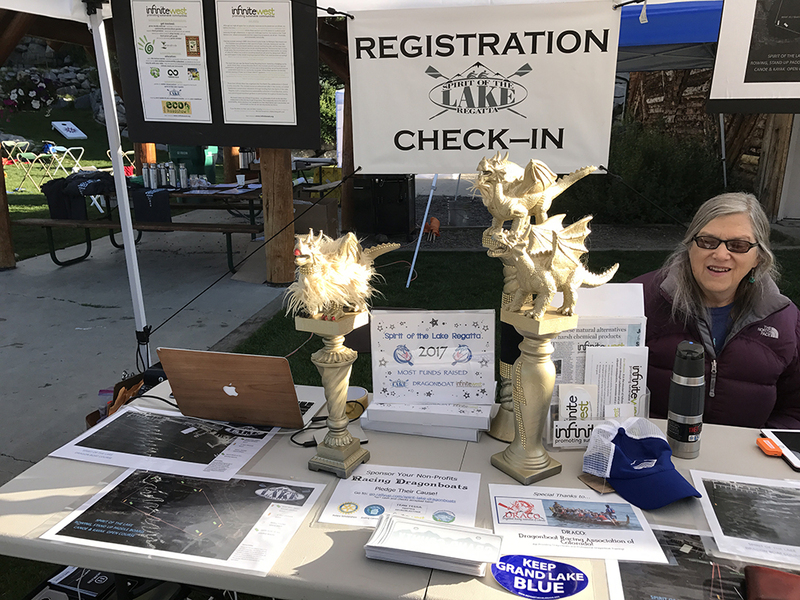 This will mark the first time a dragon boat division has been included in this event (and, the first-ever organized dragon boat racing event in Colorado, apart from the Colorado Dragon Boat Festival). Both the Lao Buddhist and Phantom Dragons teams, coming off very successful performances in this year’s CDBF, are expected to compete. Additional information is included in the downloadable Spirit of the Lake DB Challenge Flyer. There’s still time to register! Come on out and join in the fun!